I’m going to keep this short because it’s really very simple. Hubby and I made a ton of pulled pork the other day and we enjoyed a second pulled pork sandwich the following night. However, as much as I love stretching my food dollar, I just could not serve pulled pork sandwiches 3 nights in a row. I mean, come on. 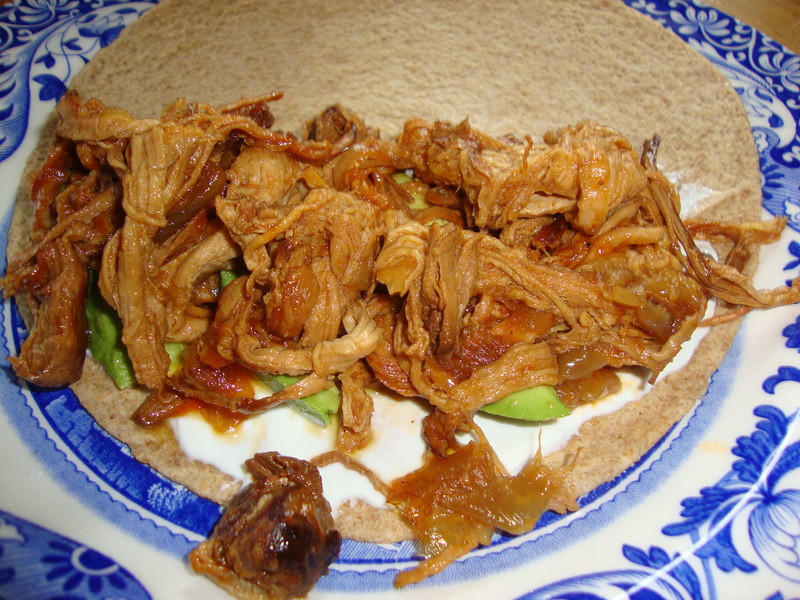 So I googled pulled pork taco to see what I could find and I found this site: Healthy Food For Living. I basically simplified what they had. The pork has such great flavor that you really don’t want to take away from it. -1 individual container of greek yogurt. I used chobani. In the skillet warm up your leftover pulled pork. I add a little olive oil or bbq sauce if it needs the moisture. In the microwave, warm your tortilla. On half the tortilla scoop a small amount of the greek yogurt and several slices of the fresh avocado. Put a lot of pulled pork on top and voila! Enjoy the flavor and moisture. If you are a texture person (like me) you will love this. Or if you are human. Fantastic web-site. Loads of handy details listed here. I’m just giving them for some good friends ans moreover revealing around yummy. And certainly, thank you in the hard work!